It’s hard not to have a sedentary lifestyle when sitting is a large part of many jobs, but unfortunately, long-term sitting takes its toll on our bodies. One side effect of excessive sitting is potentially bad posture. Poor posture may seem relatively minor compared to other parts of your health that you should be looking out for, like having a balanced diet and getting enough exercise. The good thing about correcting your posture is that it’s an easy habit to form and takes almost no time to start practicing, so why not try and be as healthy as you can in all ways possible. Aches and pains in your back and neck that aren’t caused by injury can be indicators that you’re sitting poorly. In addition, incorrect posture can lead to weight being distributed incorrectly over pressure points, affecting blood flow to your lower extremities leaving them feeling cold, numb, or like pins and needles. When your truck doesn’t come with a suitable seat cushion, consider consulting your physician about pillows for lumbar support. As you make adjustments, be sure to keep in mind that all your equipment and controls should be easily within reach, as safety comes first. 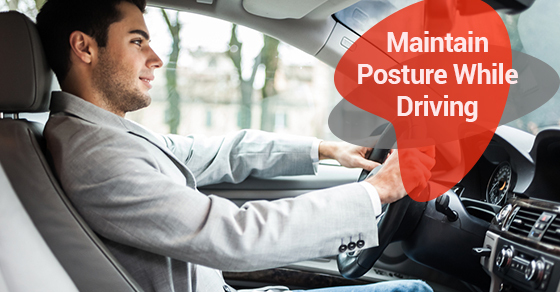 If you can’t effectively and safely operate your vehicle, there’s no sense in thinking about the optimal sitting position.